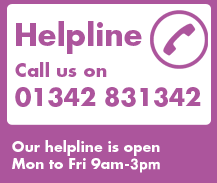 Young Epilepsy's helpline is open for anyone who is affected by epilepsy. Whether you have epilepsy yourself, are a parent or work with someone who has epilepsy – we’re here to answer your questions and talk about your experiences. The helpline gives you the chance to talk things through confidentially with our experienced team who can provide information and support about the condition. It doesn’t matter if your query is about medication, seizure alarms, epilepsy and education or if you just want to talk. Phone: 01342 831342, between 9am - 3pm, Monday to Friday. We have a range of information to help and support you, including handbooks, children's seizure diaries and magazines.